Cut the coconut oil into chunks, and add to the dry ingredients. Using hands, massage the oil into flour until mixture resembles crumbs. Add ice water a tablespoon at a time. Stir gently. Squeeze the dough together until it binds. Shape dough into flattened ball. 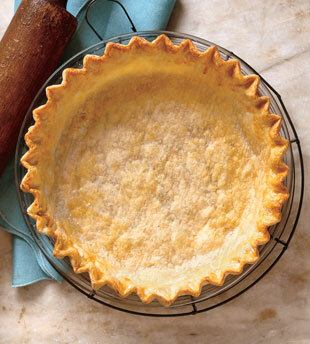 Grease a 9-inch pie pan with coconut oil and set aside. Remove your dough from fridge and line a work surface with parchment paper or coconut flour. Gently transfer disk to pie hand, using your fingers to press into the pan. Don’t worry if it’s not perfect, just make sure there are no holes and the dough is evenly distributed within the pan. Using your fingers, pinch the top of the dough so it forms a pretty crust. Place in refrigerator or freezer before baking or as recipe directs.